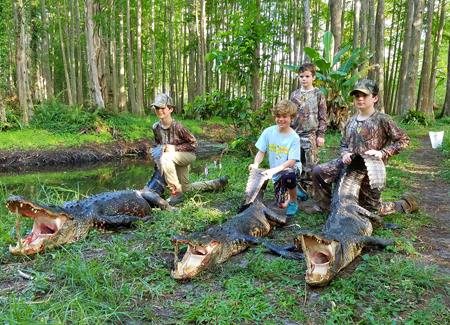 Hunt small or large gators on private land – primarily ponds and canals. 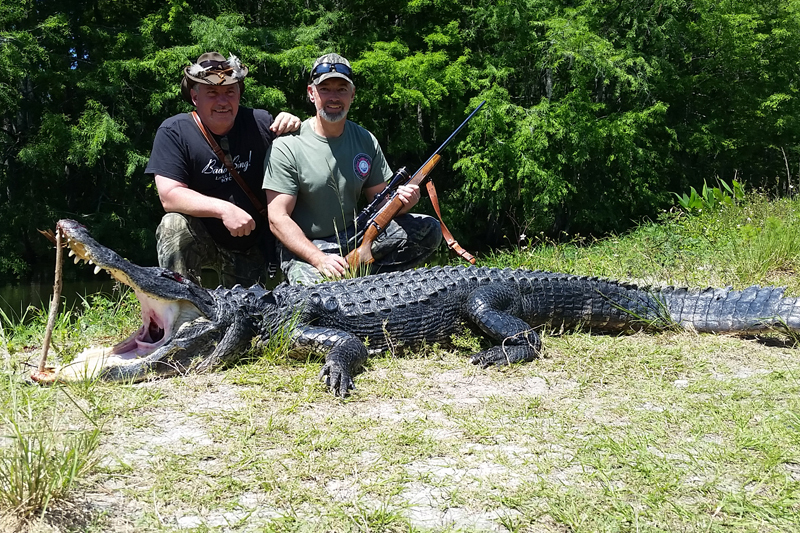 Average gator is 9ft, trophy gators are available. Hunts are conducted with firearms and bow. This is a very high success hunt. Private land-owner tags. Enjoy target shooting, sporting clays, Airboat rides, bird watching and wildlife at a first class facility suitable for family adventures and business meetings. You will enjoy an early morning send-off breakfast, home cooked lunches, dinner and end of the day refreshments in comfort. Comfortable private rooms with full bath await you after an action packed day. Professional guides, top notch services, clean comfortable modern American Plan accommodations, and plenty of non-hunting activities to keep everybody happy.